Dr. Indulkar is a Board Certified Pediatric Neurologist who is also Board Certified in the subspecialty of Epilepsy. She received her M.D. from Grant Medical College. She completed her pediatric residency at Maimonides Infants and Children's Hospital of Brooklyn, New York. In her first year of residency, she received the award for best resident of the year. She then trained in Neurology and Child Neurology at Cleveland Clinic in Cleveland, Ohio. She joined the staff at Cape Fear Valley Medical Center in Fayetteville, NC in 2011. Dr. Indulkar is Board Certified in Pediatrics by the American Board of Pediatrics. She is also Board Certified in Neurology with Special Qualification in Child Neurology by the American Board of Psychiatry and Neurology. She is Board Certified in Epilepsy. She is certified in the diagnosis, evaluation and management of seizures. Dr. Indulkar is a Fellow of the American Academy of Pediatrics, a Member of the American Academy of Neurology, a Member of the Child Neurology Society and a member of the American Epilepsy Society. 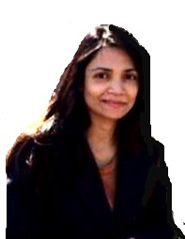 Dr. Indulkar has presented her research in several meetings including Child Neurology Society, American Academy of Pediatrics and the American Academy of Neurology. Her interests include epilepsy, ADHD, headache, tics, developmental delay and autism. She lives in Fayetteville with her husband Dr Suriya Jayawardena (Dr Jay) and daughter.